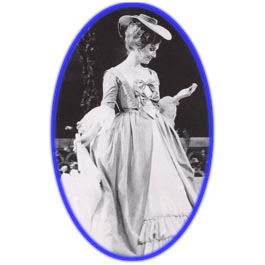 (Houston Grand Opera) "Carolann Page was ideally cast... with nimble vocal technique and sparkling ornamentation in her big aria in the Cours la Reine scene." "..visually riveting, already half-mad and half-dead. She sang with concentrated beauty of voice." 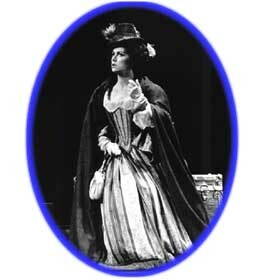 "James Morris was joined in this act by the sumptuous singing of Carolann Page." "...performance memorable..exquisite aria and duet in the final scene." 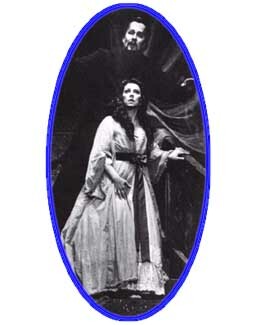 (Cincinnati Opera) "...the most vivid character is Carolann Page's Elvira...She is a seething mass of conflicting emotions...the voices are fine, especially the wide-ranging Page." 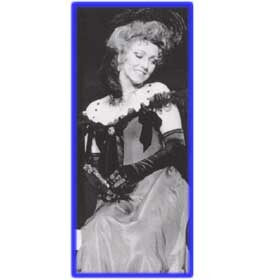 "..a lovely voiced Widow, never more impressive than in the fine-spun fluency of her second-act 'Vilia'."